Movandi has collaborated with Keysight Technologies to test and validate its BeamX technology using Keysight’s over the air (OTA) test systems. Movandi’s BeamX Millimeter Wave (mmWave) technology is a scalable RF front-end solution that integrates RF, antenna, beamforming, and control algorithms into a modular 5G millimeter wave solution intended for Customer Premises Equipment (CPE), small cell, and base station applications. 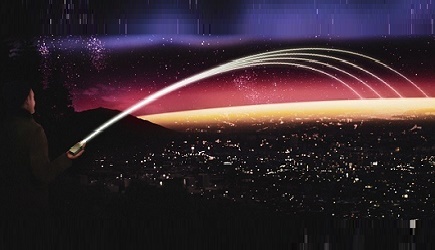 Movandi’s RFIC, phased array antenna, and beamforming techniques are enabling the next generation of 5G and multi-gigabit connectivity that is driving new applications. Because higher performance of the optimized RFIC and antenna solutions require leading edge equipment to support the development process, Movandi will rely on Keysight for its leading-edge testing and measurement tools in the development, qualification, and manufacturing of mmWave RF and antenna technologies. Movandi will also provide antenna arrays to Keysight to support the optimization and streamlining the process of performing OTA testing. Beamforming introduces new challenges to effectively evaluate antenna performance and Movandi was able to verify shifting of antenna beams with the use of Keysight signal generators, oscilloscopes, and vector signal analyzer software by analyzing the magnitude and phase shift between antenna channels. 5G and mmWave represent the most disruptive generational change in cellular networks since the movement to digital. Everything is hard- higher frequencies, ill-behaved propagation, beamforming, and over-the-air testing. This partnership will go a long way in developing and testing mmWave technology. The Keysight 5G test solution includes PNA-X network analyzers, UXA spectrum/signal analyzers, M8190A arbitrary waveform generator, PSG vector signal generators, 89600A VSA software, and S-Series and Z-Series oscilloscopes. Click here to learn more about Keysight’s 5G solutions and capabilities.